Following his party's embarrassing defeat at the polls earlier this month, where the opposition wrested control of the municipal governments of Istanbul and Ankara, and last month's destabilizing currency crisis, Turkish President Recep Tayyip Erdogan is once again cracking down on dissenters, including the few remaining voices in Turkish media who dare criticize him directly. Sonmez's lawyer told the state-run Anadolu press agency that police barged into the economist's home on Sunday morning, arrested him, and took him to a police station in Istanbul. 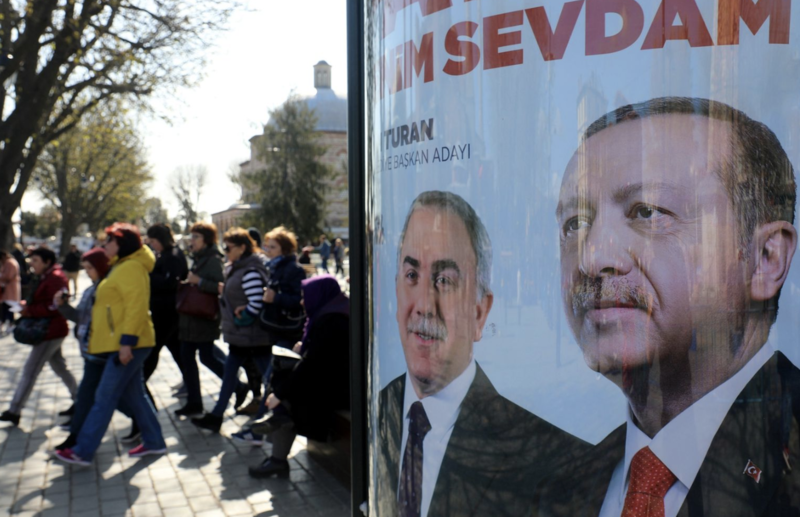 Sonmez, who has also been working as a columnist and a television commentator, was reportedly questioned about several tweets that were critical of the government's response to the results of the local elections. His lawyer said that Sonmez was interrogated for a few hours and then released. But just because he was let go doesn't mean he won't face a legal case in Turkey. After the arrest, Sonmez tweeted that police burst into his home at three o'clock in the morning, and promised that he wouldn't be silenced, saying "the water never stops." He later claimed that it was ridiculous that he was detained for alegedly insulting Erdogan when there's so much substantive criticism to levy at AKP and its policies.